Your needs are increasingly getting serviced by personal loans. These include paying for education, buying a home or a car or even planning a wedding. But, the loan is sanctioned only when you prove that you are creditworthy. The banks determine this using your CIBIL or credit score, a key measure. Having a good CIBIL score increases your chances of getting a loan sanctioned on better terms than average borrowers. Your CIBIL score is a 3 digit number summary of your credit history. It is derived using the credit information found in the CIBIL Report. The company behind this information is called TransUnion CIBIL Ltd. There are similar companies tracking your loan record and preparing a credit score. This report is your credit repayment history across loans. This does not include details of your savings or investments. Ranging between 300 and 900, a score of 750 and above is usually considered good. 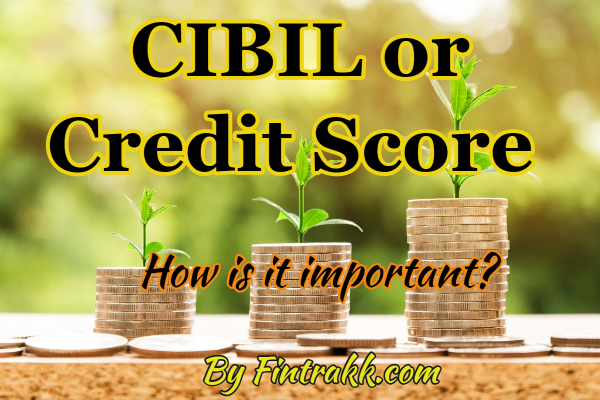 How CIBIL Score is important for Personal Loan? Let’s have a quick look at how good CIBIL or good credit score can help you grab a good amount of personal loan. A good CIBIL score instils confidence in the lender. It shows that you can make timely repayments. A high score also speeds up the loan approval process. Before you avail a personal loan, it is crucial for you to confirm Personal Loan interest rates. With a good CIBIL score by your side, you have the freedom to shop around. Try and get as many quotes as you want. Compare all lenders and decide on a loan that suits your needs the most. A good CIBIL score may also lead to lower processing fees and pre-payment charges. If you have a good CIBIL score, banks and other financial institutions are likely to offer you loans with lower charges. You can negotiate your terms with the lender and get a loan suiting your needs and demands. For a lender, a borrower with a sound repayment history is very important. A poor credit score means you might have to settle for the lenders’ terms and conditions and would not be able to negotiate attractive loan terms. Not only does a high CIBIL score bring lower interest rates, it also makes your approval limit go higher. With a good CIBIL score, you can get a loan higher than someone who has a similar income. There is a possibility that the bank may ask for minimal documentation making your loan processing hassle-free. You may also like to checkout: Personal Loans for Salaried Individuals: Are you eligible? What about people who have no credit history? If you have no credit history, like no previous loan or usage of credit cards, the situation can go against you when you apply for a Personal Loan! The reason is simple; no credit score makes it difficult for lenders to assess your creditworthiness. This could lead to you getting a higher interest rate and/or a lower loan amount. So instead of applying for a bigger personal loan first, you may want to use your credit card and make payments on time for a few months. Every lender has access to your CIBIL or credit score. It is important to improve and maintain a good credit score. Just ensure that you do not miss your equated monthly instalments or credit card payments. To know more about a Personal Loan from Bajaj Finserv, click here. « MoneyTap App: Gain Financial Freedom on Your Own Terms!